About the Garrett Group, Ltd. 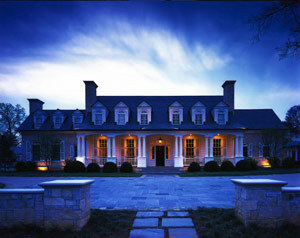 The Garrett Group, Ltd. is the builder and remodeler of some of the area’s finest custom homes. The company was created to supply a market niche…that is, building some of the most beautiful and artful homes while providing the excellent on site supervision and attention our clients should expect and deserve. Our company has been building and remodeling custom homes for almost 30 years in the Atlanta market. Over the past 10 years we have expanded to include homes in the Cashiers, North Carolina area and also in the Seagrove Beach, Florida area as The Garrett Group, Residential LLC. We are licensed to build in all areas of Georgia, Florida and North Carolina. Working with the most top level architects in this city we have built homes from every size, architectural style and historically correct plans. Many of our sub-contractors have been with us for most of our 30 years. Work of this distinction demands excellent craftsmanship and we only employ the best. We believe on site supervision provides assurance for the customer and sub-contractor that their house will be completed as planned. Our on site superintendents have been with us for many years and know there are no short cuts, no changes without approval and we expect the best in craftsmanship and customer service.